We know that today’s learners face problems that are complex and constantly changing. 21st century careers are evolving more quickly than in any time in human history. Problem-solving skills, community building, and leadership development are now as important as academics at every stage of a student’s learning development. 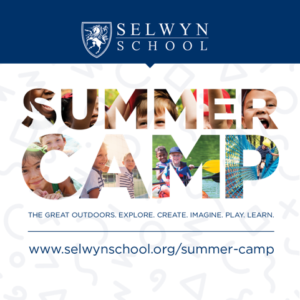 Selwyn School’s mission revolves around this broader set of skills, which is why we offer an experiential, individualized, and student-centered learning environment for all our students that encourages independent thinking and persistent attention to evolving, proven educational practices and philosophies. Our mission is to cultivate global citizens who embrace complex challenges with empathetic and innovative thinking that advances the human condition.